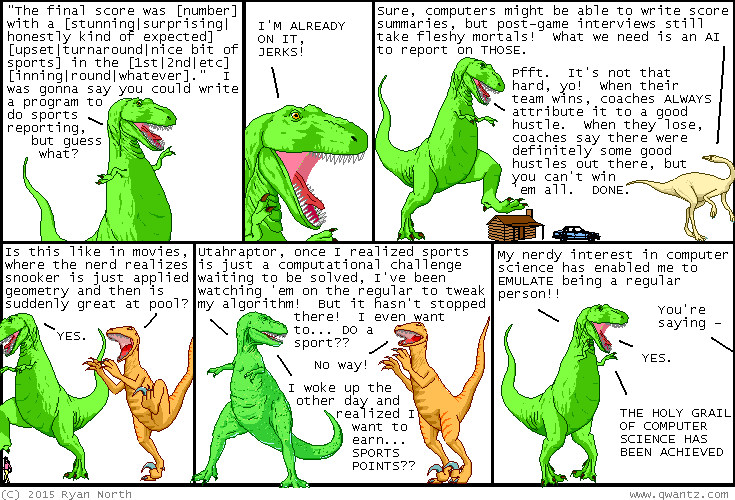 Dinosaur Comics - October 19th, 2015 - awesome fun times! October 19th, 2015: MICE was amazing! I met so many great people - readers and comics creators alike - and had a really terrific time. If you missed out this year, be sure to go next year - it's super great! You can check my Twitter for some pictures I took during the show: I would've taken more but I was too busy HAVING FUN AND LOVING COMICS.